Emory will establish a program to educate students in leadership and sustainability as part of a new grant from the Ray C. Anderson Foundation. The Ray C. Anderson Foundation has awarded $180,000 to Emory University for a groundbreaking program to educate students in leadership and sustainability. Over three years the grant will establish a Sustainability Scholar-Leader Program to challenge selected students’ intellectual and personal growth through a blend of formal coursework, leadership theory, hands-on research and practical experience, says John A. Lanier, foundation director. "Business is lagging in the adoption of sustainable methods and goals," says Lanier, citing a recent worldwide study. "The people who head large companies don’t yet see the business case for sustainability and how it adds to the bottom line." In the Emory program, interns will be placed with Atlanta businesses, government bodies and nonprofits. They will study the challenges faced by these leaders, the courage needed for cutting-edge solutions, and the ways real-world solutions can emerge from their coursework. Heading the program will be a new "Distinguished Teaching Fellow" in sustainability and behavioral change who will develop four new courses that will include student engagement with on-campus innovation as well as creative action in the city. 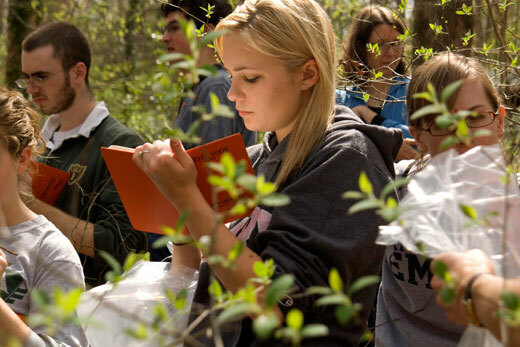 "The Emory campus will become a living laboratory for driving positive change, by engaging the local community through partnerships and internships that will allow the students to put theory into application in real-world assignments," says Ciannat Howett, Emory’s director of Sustainability Initiatives. The UN Global Compact/Accenture Study on Sustainability 2013, which was released in September, surveyed 1,000 CEOs from 27 industries in 103 countries. The study indicates that only 32 percent of CEOs surveyed believe the global economy is on track to meet the demands of a growing population. "It indicates that CEOs are committed to taking action on sustainability but may be restricted by the economic climate," Lanier says. "We think information now and education for the future are the answers to that problem, and this grant to Emory is a major step," he says. "The next generation of business leaders can be agents of change who promote sustainability through effective action." Ray C. Anderson, who built a $1-billion textiles enterprise, illustrated his theory and practice of sustainable industry in two books: "Mid-Course Correction: Toward a Sustainable Enterprise: The Interface Model" (1998), and "Confessions of a Radical Industrialist" (2009). "Our ultimate goal with this program at Emory is to create more Ray Andersons, and provide Emory graduates with the skills and tactics necessary to navigate the changing business and civic environment with confidence, as the sustainability business model continues to evolve and take its permanent place in core business and government strategy," says Howett.